The Los Angeles County district attorney’s office has declined to file charges against Caitlyn Jenner, regarding a chain-reaction collision last February that killed 69-year old Kim Howe. The Los Angeles Times reports that evidence presented to the prosecutors was not sufficient to prove that Jenner was responsible for the crash, which happened on Malibu’s Pacific Coast Highway. Jenner’s lawyer told reporters that she was confident from the start that an objective and thorough investigation of the accident would clear her client of any wrongdoing. “We are heartened the district attorney has agreed that even a misdemeanor charge would be inappropriate… A traffic accident, however devastating and heartbreaking when a life is lost, is not necessarily a criminal matter,” she told the LA Times. The four-vehicle accident near Corral Canyon Road occurred not long before Jenner made her gender transition public news. When the crash occurred, she was Bruce Jenner – best known as an Olympic gold medal winner and step-father to Kim Kardashian and sisters. Caitlyn, who was not injured in the crash, was towing a dune buggy on a trailer that fateful day when she had to come to an unexpected and sudden stop. Evidence showed that she applied her brakes roughly two seconds before impact and was driving just below the speed limit. Despite braking, her Cadillac Escalade rear-ended Kim Howe’s vehicle, pushing it into oncoming traffic where it was struck by a Hummer. Initial reports stated that Howe rear-ended Jessica Steindorff’s Toyota and then Caitlyn’s Cadillac struck Howe’s Lexus. But Steindorff’s legal counsel has said Jenner’s SUV rear-ended Howe’s Lexus and continued moving until it hit Steindorff’s car. Initial reports had also indicated that Jenner was traveling too fast for road conditions that day, but a sixth-month investigation has suggested otherwise. The California Highway Patrol and detectives on the case meticulously analyzed paparazzi photos from the crash as well as video taken from an MTA bus. Authorities also checked cellphone records for proof of distracted driving, conducted interviews, and secured on-board computers from the vehicles involved. L.A. County sheriff’s Detective Richard Curry confirmed that none of the drivers were using their cellphones at the time of the accident, and there is no concrete evidence that Jenner was distracted in those moments leading up to the crash. While Jenner will not be facing criminal charges related to the Malibu accident, both Howe’s and Steindorff’s families are pursuing civil lawsuits against the TV personality. William Howe and Dana Redmond are suing Jenner for wrongful death, claiming “enormous damages and losses” after losing their step mother. They both contend that Jenner’s negligent and inattentive driving was the sole cause of the deadly accident and Howe’s untimely death. 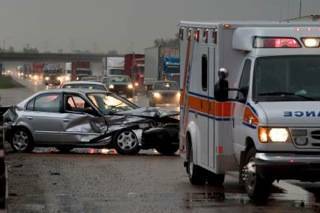 Questions about car accident liability? 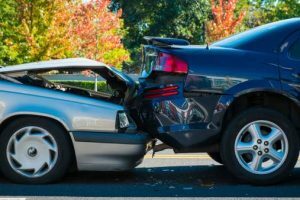 If you have questions about liability following a car accident in Los Angeles, Ellis Law is here to offer sound legal advice during a confidential case review. To speak with a member of our team, please call toll-free 310-641-3335.